Set of 12 pineapple clothespins. Use at your summer party, wedding, bachelorette party, or baby shower to hang photos, clip onto gifts, or use as a drink marker. The pineapples measure 2 1/4 inches tall by 1 1/2 inches. 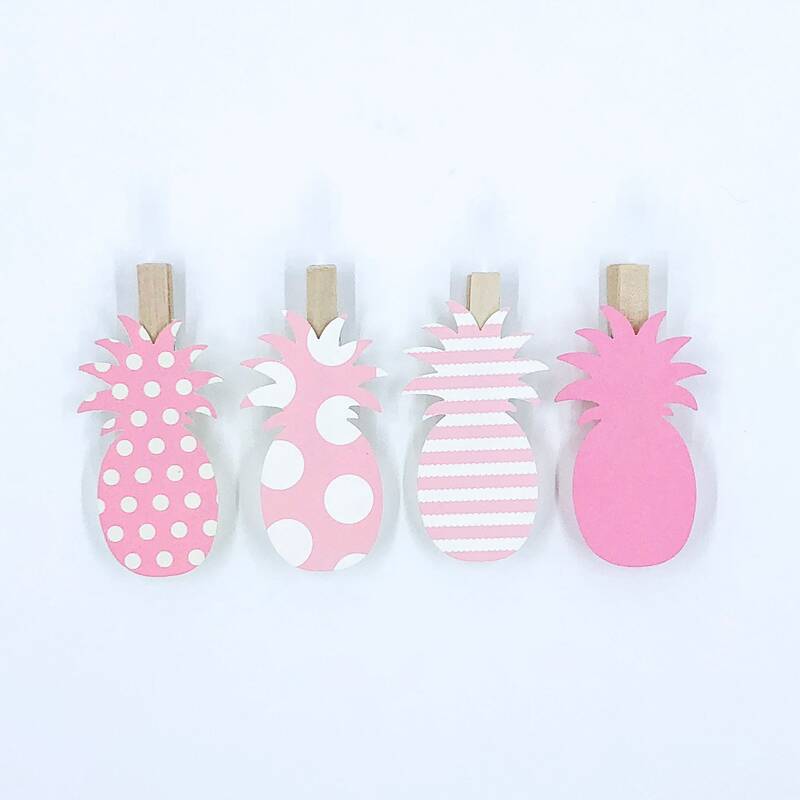 The pineapples are cut from a thick cardstock in a variety of pink and ivory stripes, polka dots and solids.